As a part of the national campaign, ALL IN Campus Democracy Challenge, Rollins College was awarded the Best in Class Award for its phenomenally high student voting rate in the 2016 election. Rollins received this award for having the highest student voting rate within the four-year, medium, private institution category as well as a Silver Seal for achieving a student voting rate between 60 and 69 percent – significantly higher than the national average for student voting. Launched in the summer of 2016, the ALL IN Campus Democracy Challenge is a pan-national initiative that strives to normalize student participation at the polls and encourage students to have a continued, active role in the political process both during and between elections. Nearly 300 college campuses, including Rollins College, have joined the Challenge since its launch. By joining the Challenge, Rollins committed to creating a campus-wide committee composed of members from academic affairs, student affairs, and the student body. This committee would be responsible for the development and implementation of a plan to improve democratic engagement. For Rollins, this committee came to fruition in the form of the Democracy Project. The Democracy Project is a non-partisan student-led political organization that strives to encourage students to participate in the democratic process. 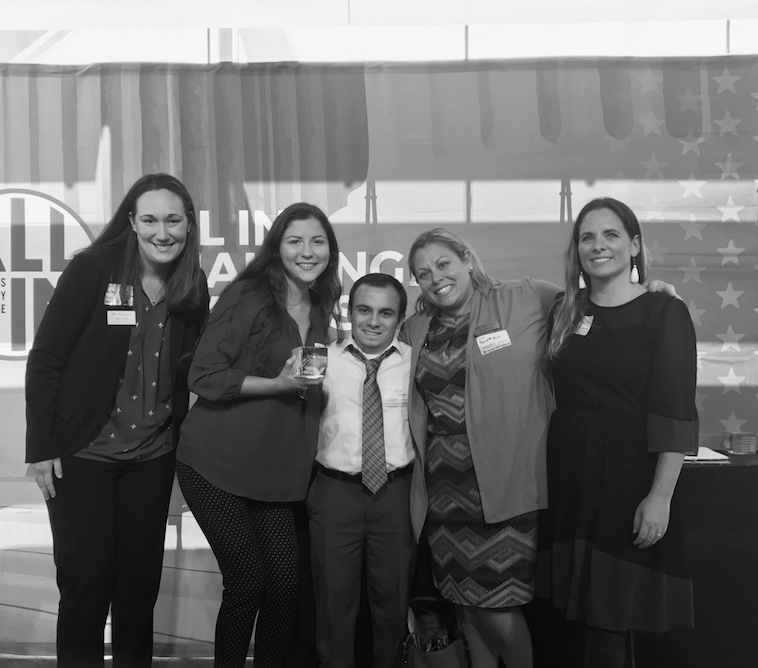 During the 2016 national election, the Democracy Project registered approximately 400 students through a series of voter registration drives, brought students early to the polls, and hosted open educational platforms through monthly Politics on Tap and bi-weekly News Round-Ups. Rollins was the only school in Florida to be recognized with a Best in Class Award, despite the fact that larger campuses such a Florida State University, University of Central Florida, and University of Florida or even peers of Rollins such as Stetson or New College of Florida are also participants of the ALL IN Campus Democracy Challenge. Receiving this award is a proud testament to the involvement of Rollins students in the political sphere and life outside of campus. Hopefully this trend of high student voting participation will not falter in future elections.